Country Acres Child Development Center now offers Tuition Express for our Families. Get $25 credit after your 4th week of paid tuition with direct deposit (ACH) option. Tuition Express is a fast, easy and secure way to pay your childcare expenses with direct deposit ACH or with a debit/credit card. Tuition express allows on-time tuition and fee payments to be made from your bank account. As your childcare provider, we are excited to offer you the convenience of automatic tuition payments through Tuition Express. You’ll no longer need to write a check or remember your checkbook when you’re picking up your child at the end of a hectic day. Your payment will be safely and securely processed by Tuition Express, giving you peace of mind that your tuition has been paid on time! 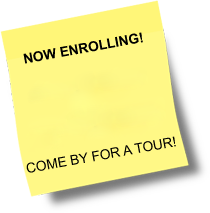 It’s easy to enroll and even easier to participate. You’ll be joining tens of thousands of parents nationwide who enjoy the ease and convenience of Tuition Express. Sign Up for Tuition Express. or ask Country Acres CDC for an application. *Ask us if your Corporation Qualifies! Country Acres does offer some coupons. Please visit our Coupon Page to print it off for a deal!